I am passionate about helping people re-imagine how to create learning places that motivate, engage and inspire students and teachers alike. Better education underpins better lives for all individuals and societies. My key focus is on re-imagining the creation of learning environments – educational and physical – that motivate, engage and inspire students and teachers alike, to enable societies to produce students with the creative, collaborative and communication skills they need. I work globally with governments, local policy makers, individual institutions, education professionals, architects and researchers on how effective learning environments can be created by design from the design of education policies by government through to the design of the environments themselves. Over the last ten years I have worked across 38 countries with governments, educators and architects. With this perspective I bring to the table an understanding of the global trends in the design of learning environments and how they meet the needs of different pedagogies, as well as how education policy is being developed to meet the broader demands of the education agenda. I work with them to articulate their needs and requirements for creating better learning environments providing advocacy, broad policy advice, envisioning, briefing, strategic design and communication. Currently I am working at the Department of Architecture, at the University of Westminster where I continue to pursue a research agenda on learning environments. Having spent a further two years at the OECD at the OECD Centre for Effective Learning Environments managing the Learning Environments Evaluation Programme (LEEP) among other interesting projects (my first period at the OECD was from August 2007 – 2012) where I was an education policy analyst, and a period as an independent consultant, I am now at the Department of Architecture, at the University of Westminster. My research focus remains and covers how educational buildings support the needs of education, from pre-school to higher education, and developing the evidence base for making decisions about the development of learning environments. I continue to work with the OECD on the LEEP project as well as the World Bank. Although I trained as an architect much of my work has never been what many perceive as traditional “drawing board” (or these days computer aided design) architecture. Instead I have preferred to operate on the intersection of what education policy makers enable, educators and learners need and designers create. I work with those for whom a learning environment has significance to identify how better designed environments that will support their needs and the needs of education. The output may be advocacy, policy advice for governments and education authorities, a brief for a new or renovated building, or a master plan for future development. Driven by curiosity I work with people to explore ideas. I build and manage networks of educators, education institutions, policy makers and designers around the world to enable exchange of ideas and knowledge, and to facilitate the understanding of problems and creation of solutions. 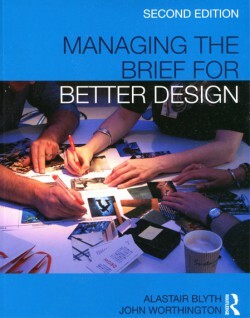 In 2001 I co-wrote “Managing the Brief for Better Design” with John Worthington from the architectural consultancy DEGW. The thesis of the book is that to design a successful building or urban environment demands an intimate understanding of the the needs it is there to serve. This demands an understanding of how, in my case, education happens and how cities function. It is developing that understanding that is crucial. My work both at the OECD and since builds on this idea because policy development must involve an understanding of education and be a dialogue between those who plan for education, those who take part in it including teachers and students, and those who provide environments for it, whether those environments are physical or not. Whilst on secondment to the International Energy Agency for six months during 2011, I worked in the as a policy analyst in the Energy Efficiency division carrying out a survey and analysis on evaluating policies, regulations and codes on energy performance of buildings. I was also responsible for the initial development of a database on energy policies for buildings: The Buildings Energy Efficiency Policies Database that seeks to provide information to Policy-makers, practitioners, industry and researchers on countries’ policies. Strategic policy advice to INIFED, Ministry of Education Mexico on “Escuelas Dignas” programme of renovation 40,000 schools (pre-primary to secondary). OECD expert on evaluation of school facilities and the physical learning environment. 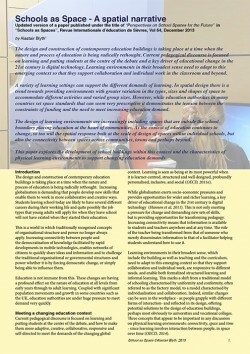 OECD Learning Environments Evaluation Programme. Co-lead: “Designing Cities for Knowledge (www.cities4k.org). Research programme with the Instituto Superior Técnico, Technical University of Lisbon evaluating the role of university campuses and science parks in the design of cities for knowledge. 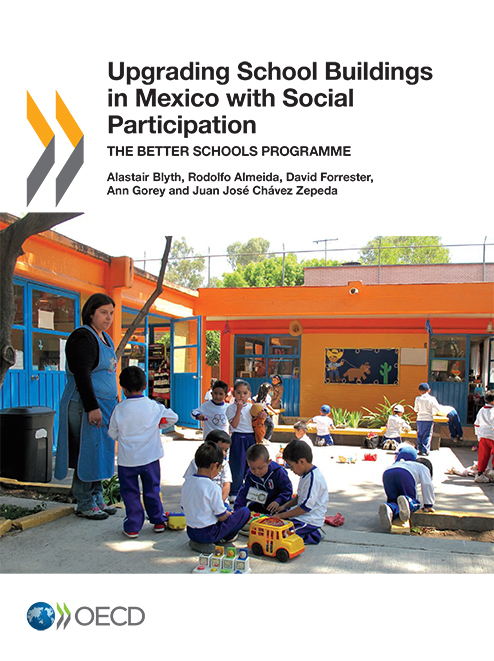 OECD review of pre-schools / pre-primary to upper-secondary education in the State of Puebla, Mexico. Strategic options for financing, design and delivery of a schools infrastructure improvement. 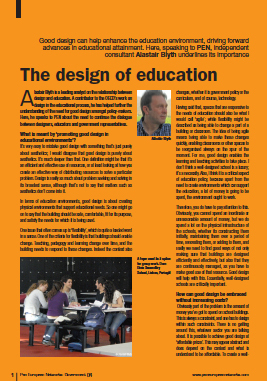 Drafting design guidelines for mainstream schools for UK Department for Education. Advice to the Ministry of Education, Kosovo on developments in the design of pre-school and school buildings. Chair: Jury for primary school international ideas competition. Ministry of Education Ireland. 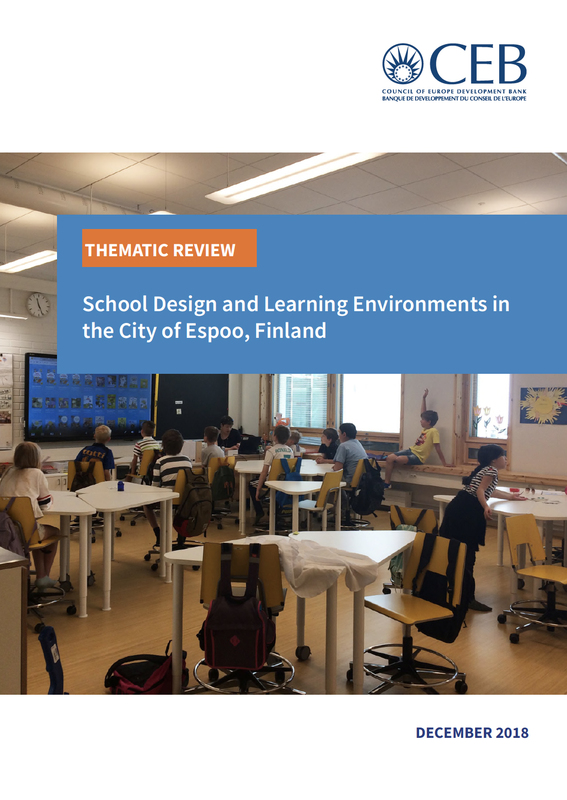 Led survey and report for OECD/CELE publication: “Designing for Education: Compendium of exemplary Educational Facilities 2011”. A survey of exemplary educational environments from 33 countries. Covers pre-primary to higher education environments. 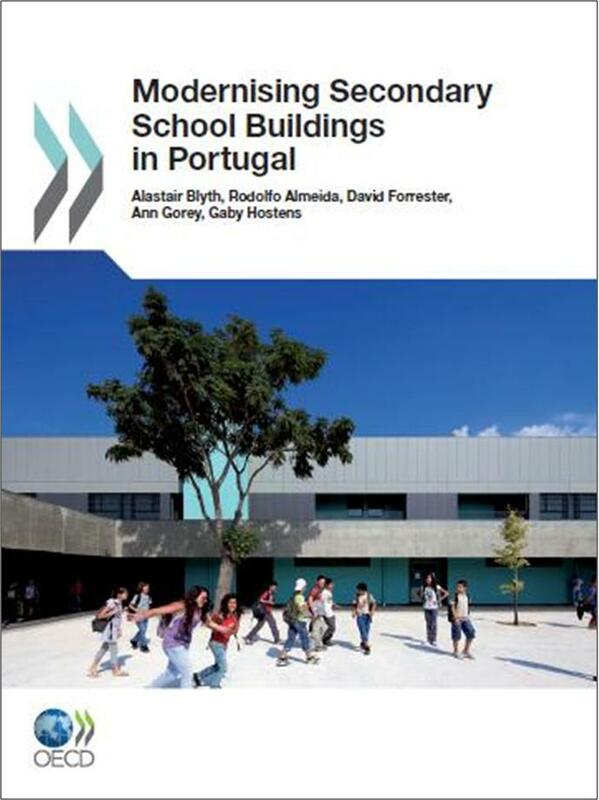 Led expert OECD country policy review: Secondary School Building Modernisation Programme, Portugal, 2009. Impact of the financial and economic crises on construction of educational buildings. Organised international conference series: Higher Education Spaces and Places for Learning, Innovation and Knowledge Exchange. (2008, 2009 next planned for 2012). Led a report: Higher Education for Sustainability on initiatives taken by universities to meet their sustainable development objectives. Co-organised international project for the European Investment Bank on: Strategic Investment Planning For Educational Infrastructure to investigate how national investment decisions on school buildings are made. 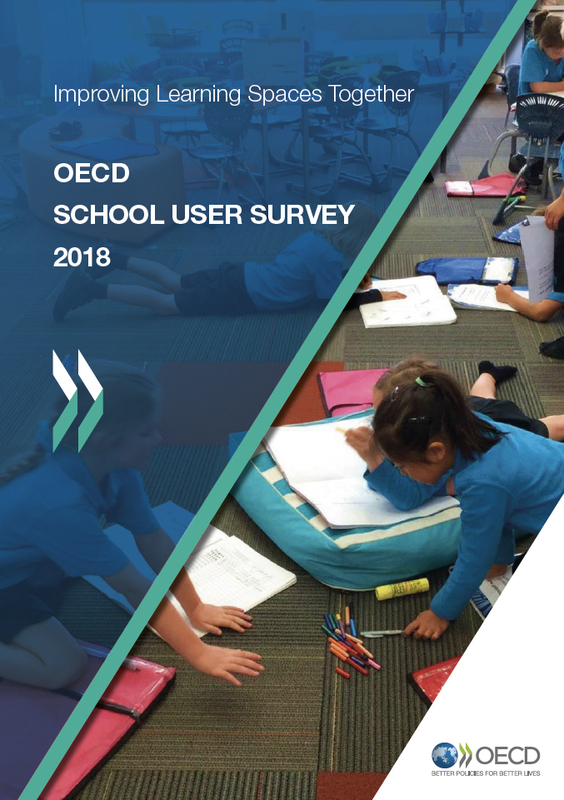 Developed survey questionnaires for OECD International Pilot study: Evaluating Quality in Educational Spaces a facility performance survey of secondary schools. Managing a survey on IEA member country policies, regulations, and economic instruments on energy efficiency in buildings. Review of the MXN$ 9.5bn programme of school building repair programme across Mexico for the Mexican government. Review of the financing, educational need, construction process and delivery of a EUR 2.45bn school modernisation programme. Showcases over 60 recently built or refurbished educational facilities from 28 countries. Collectively, these projects demonstrate state-of-the-art design in this field and each one is lavishly illustrated with colour photos, plans and descriptions. Briefing is a process of developing a deep understanding about client needs. This book for both clients and practitioners explains how to develop the brief and manage the briefing process, and provides practical solutions and examples. Radical “2029” scenario on emergence of “super-universities” in the RIBA Building Futures report into universities in the future of urban development. The report “Growing by Degrees” explores the challenges facing universities over the next 20-30 years and their readiness for them. A toolkit on good practice guidance on facility performance evaluation for use by the Higher Education sector. A report on knowledge management looking at the dissemination of key messages from the Movement for Innovation and Housing Forum demonstration projects in the UK. The report suggests that a prime barrier to dissemination is that many businesses within the construction industry are not ‘learning organisations.’ It also suggests that people value highly the interaction achieved by taking part in the demonstration project process attending events like cluster group meetings because they believe that they learn most from discussion with others.